This $98 million design-build project reconstructed and widened 3.3 miles of three-lane divided highway. It included adding northbound and southbound managed lanes, fully reconstructing one interchange, and modifying portions of four other interchanges. 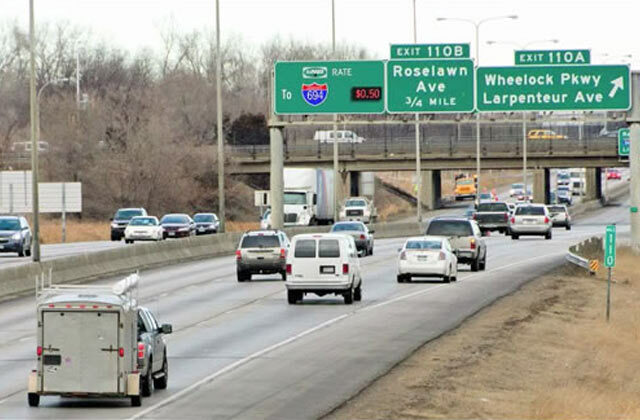 The project also included the replacement of nine bridges, wetland mitigation, retaining walls, noise walls and the installation of tolling infrastructure to facilitate the future MnPASS Express Lanes. Ames Construction was the lead contractor, and Alliant was responsible for all design elements on the project. The Ames Team schedule limited traffic impacts to a 120 day window during each construction season, which was an average 48 days/season better than the competitors’ proposed schedules. Traffic impacts to the five urban arterials crossing I-35E were also substantially reduced through innovative techniques. This project won a Grand Award in ACEC/MN's Excellence in Engineering awards competition.